No doubt, Ayahuasca history dates centuries back into the past. Yet, there are not enough documents that provide an exact timeline. Its resurgence among the researchers has also created a craze among the public. It is a local hallucinogenic beverage. Indigenous people of Peru and other South American countries use it in ceremonies. They prepare it by boiling a plant. The scientific name of the plant is Banisteriopsis caapi. In fact, Ayahuasca is another name of this plant. It is a psychoactive beverage. Thus, it alters the brain functions. How Ayahuasca Affects Your Mind? It contains many active compounds. These compounds can change your thoughts, mood, and level of consciousness. For example, harmine, harmaline, and tetrahydroharmine. They do it by blocking the activity of an enzyme, monoamine oxidase (MAO), in the brain. In fact, MAO breaks down many brain chemicals. So, they call them monoamine oxidase inhibitors (MAOIs). Another compound also contributes to the mind-altering effects. They call it dimethyltryptamine (DMT). It is found in the plant Psychotria Viridis. For this reason, they add its leaves to Ayahuasca. That way, they can achieve a more intense effect. Ayahuasca History: When It Started? No one knows exactly about its origin. That is to say; Ayahuasca history is still a mystery. In fact, the interest on this “magic” beverage peaked only after 1950’s. It was during this time it made its debut in the western world. Many researchers believe it all started in the prehistoric times. But you cannot find any conclusive document on this. This might be the reason why they divide the entire Ayahuasca history into two parts. First the prehistoric era. Next the modern era. Only a little information is available about its origin. But, you can find more documents after its discovery in the mid-nineties. Richard Spruce (1817-1893): He was an English botanist. Indeed, he was a pioneer in documenting Ayahuasca history. Thus, many consider him as the first person who introduced it to the western world. He named the plant Banisteriopsis caapi. Many chemists isolated the active compound from the plant. They called it telepathine. Now, they call it harmine. Richard Evans Schultes (1915-2001): Many consider him as the father of modern ethnobotany. He was an American biologist. His works focused on the study of hallucinogenic plants including Ayahuasca. In fact, he was the first person to study its details. He also studied the DMT-containing plant Psychotria Viridis. Plutarco Naranjo Vargas (1921-2012): He was an Ecuadorian scientific researcher. In 1983, he published a book Ayahuasca: Etnomedicina y mitología. Fred Alan Wolf (Born 1934): He is an American physicist. His work focuses on science and the relation between physics and consciousness. He is the author of the publication The Eagle’s Quest: A Physicist Finds the Scientific Truth at the Heart of the Shamanic World. They say he has also participated in the Ayahuasca ceremony. However, the accuracy of this information often comes under the scanner. What Anecdotal Writings Say About Ayahuasca History? There is no strong evidence to establish this information. Nonetheless, they may give you a rough of Ayahuasca history. Local people of Amazon may have been using it for more than 5000 years now. In the same way, some believe the use might have been at least 3000 years old. But available documents suggest the practice of combining it with DMT-containing plants did not begin earlier than the eighteenth century. What’s The Current Scientific Take On Ayahuasca? 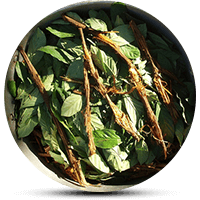 Ayahuasca has gained significant attention in the scientific community in the recent years. This is due to its ability to alter the level of consciousness. Moreover, they are testing the active component Harmine for its potential to treat many mental illnesses. Here are some recent study results on its potential effects on mental health. Current topics in behavioral neurosciences, New World Tryptamine Hallucinogens and the Neuroscience of Ayahuasca, 2017. This study suggests it may change the higher functions of the brain. For this reason, it may provide a new outlook towards life. In fact, this corresponds to the altered level of consciousness. Peer J, Harmine stimulates proliferation of human neural progenitors, 2016. According to this study, harmine triggers the reproduction of brain cells. Thus, it may help the patients with depression. Psychopharmacology, Ayahuasca enhances creative, divergent thinking while decreasing conventional convergent thinking, 2016. The study says it may make you more creative. Moreover, it also makes you less judgmental. Ayahuasca use in the US is rising. Most of the users are young males. Though it is safe in most cases, they warn the users about the serious side effects. To know more about Ayahuasca history or its addiction, talk to the experts. They can provide you the most accurate information on this emerging. Also, learn if it can provide you some benefits or it is another form of rising addiction problem. Looking for professional medical help for an addiction problem? Get the best rehabs page here.